The tool that does the search of multiple databases is called Summon. For a brief introduction to Summon view the video below. Lean more about it by going to Summon FAQ. 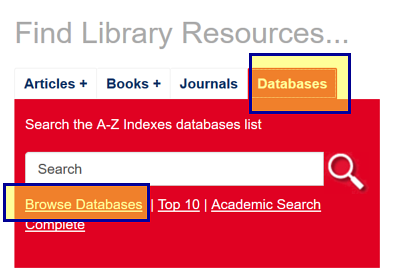 Go to specialized research resources by clicking on the Databases tab. In many database you can filter your search results to those from scholarly/academic/peer-reviewed journals - look for this option on your search results page. The OhioLINK EJC (Electronic Journal Center) consists entirely of scholarly journals. See also Identify and Find Academic Journals. You may already have a citation for an article from your professor's recommendation or another source. This is how you would locate the article. 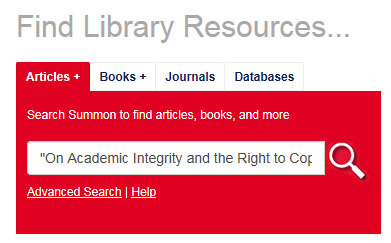 On the UC Libraries page paste your article title in the red search box. If this is an exact title enclose it in quotation marks to avoid irrelevant hits. If the title is short and/or common, add the author's name and/or journal title. Summon, our metasearch tool, will return results with links to online full text. You can also use advanced Summon search. 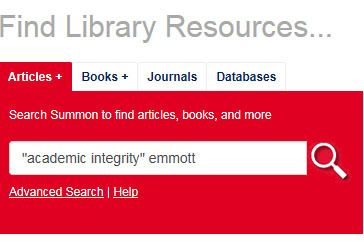 On the UC Libraries page click the Journals tab in the red search box. Alternatively you can use the search box on the Journals page of this guide. E-Journals advanced search page. Type in as much of the journal title as you want. (Please note: this search option is for JOURNAL titles, not articles titles)! Click "Search." The result will indicate which database/index to search for full text. Check the dates carefully to make sure the year you need is available electronically. If an electronic version of the journal title or the desired issues it is not available electronically, you must then search the Library Catalog for a print issue. On the library record screen for the journal title note the location and call number of the journal. Please note that current issues are often found in a different location than bound journals. Use the "Citation Linker" form. You need to provide as much information as possible. Go to UC Article Linker FAQ for more information. If you don't see those icons or links don't work, look for the ArticleLinker button or "Find Full Text at UC" link. The button or link will take you to the tool that searches for full text articles in library database. Learn how this tool works and how to make the most of it: ArticleLinker FAQ. 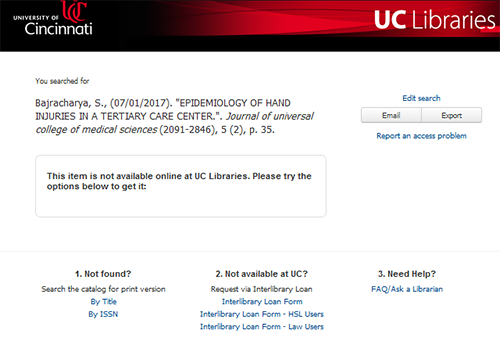 When requesting items not available at UC, click the appropriate Interlibrary Loan form and login to your account. The article request form will be automatically populated with the article bibliographic information. try Summon or Google Scholar - they are more "forgiving" than library databases. They may point you to online full text or you may search the tips above to search for a known article. Use Summon search results to see which databases cover your subject.